DrDAQ is a rather unique product in the data logging area. 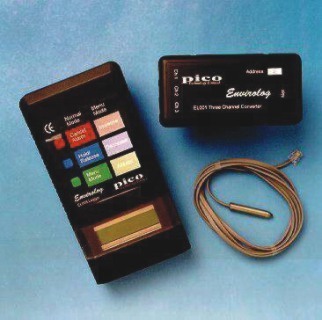 It is so unique as to have its own page rather than be simply part of the Pico Technology data logger products. 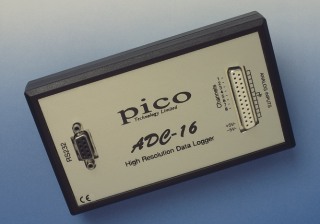 Pico Technology even maintains a separate web site for the DrDAQ. In a nutshell, DrDAQ is a very low cost data logging product which includes some built in sensors. 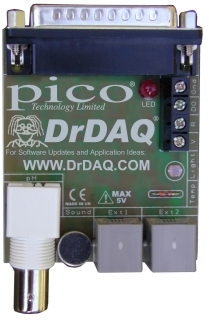 External sensors for DrDAQ have identification information so that the PicoLog software can automatically recognize the type of sensor. 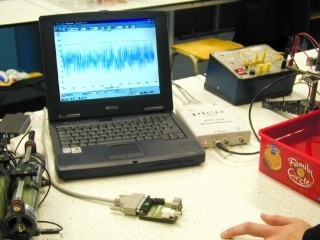 This makes it very easy for someone, including young school students, to work with this data logger. Despite its ease of use and low cost, it is still quite useful for many commercial applications. The DrDAQ comes with built in sound, temperature and light sensors and has terminal blocks to access additional voltage input channels. 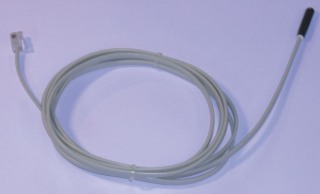 Additionally, there are three sensor input connections, 1 BNC for use with a PH probe and 2 RJ-11 phone style connectors for using a variety of DrDAQ sensors such as additional temperature probes. 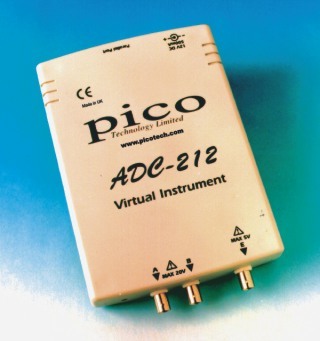 A terminal block provides one with direct wiring to connect to resistance or voltage measurements. Optional Accessories include external temperature sensors, pH probe, sensor adapter, a geiger counter, humidity sensor and a magnetic reed switch.